Terrance Hayes is a poet of great verbal inventiveness, formal skill and ingenuity, and strong imagination. What I admire most about Hayes’ poetry is his protean ability to resist being forced into any one camp or aesthetic ideology, his refusal to write for any one constituency that might claim him for its own—and it speaks to the prodigiousness of his talent both that there are so many constituencies clamoring for his allegiance and that he has so successfully managed to elude being confined by them. On his faculty page on the Carnegie Mellon University Creative Writing website (he is Professor of Creative Writing at that institution), Hayes writes that “he aspires to a poetic style that resists style”; his poetry reflects more achievement than aspiration. 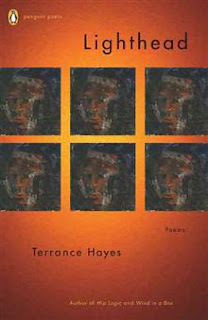 Equally at home with the anagram and the abecedarian poem, with a range of reference from Dante to Dr. Suess, Terrance Hayes does indeed manage to resist style, existing instead in a state of playfulness that can swerve toward the heartbreakingly serious at a moment’s notice. His three previous books, Muscular Music (winner of the Kate Tufts Discovery Prize), Hip Logic (which won the National Poetry Series Award), and Wind In A Box, reflect a continued growth even while they demonstrate a continued interest in some of the same thematic obsessions: of race, identity, masculinity, father figures and fatherhood. His third book, Wind In A Box, reflected his refusal to be confined or defined by any particular categories or even by his own thematic obsessions. Though he has said of the book’s title that it provided him with a formal principle or image of the poem as something with structure (a box) being filled by something without it (inspiration, spirit/breath, or imagination), each poem being whatever new shape or pattern resulted from that struggle between freedom and constraint, I had always assumed Hayes to be referring to the Greek god Aeolus. In his incarnation in Homer’s Odyssey, Aeolus is described as having a bag full of the winds—North, South, East, and West—and harnessing all of these disparate energies within that structure. This image of Aeolus has come to define for me an image of Hayes himself—either as being pulled in many directions by his own diverse interests and abilities (in addition to being a poet of extraordinary gifts, he is also a painter and musician), or having to resist being pulled in definite directions by the special interests of those who would try to define him as a certain kind of poet, or as simply containing within himself great and restless energies—or maybe a combination of all of these things. Whatever the case, any reader finds himself irresistibly pulled into this swirling vortex when reading his poetry, a claim that is no less true of his fourth and most recent book, Lighthead, published in April. In Lighthead, we find the same restless formal experimentation on display in his previous collections, with two major additions that I have yet to encounter anywhere else among poets who frequently write in form: the first is a form similar to the anagram poems in Hayes’ Hip Logic in which the words appearing at the end of each line are drawn from another poem (this form is on display in two poems in Lighthead, “The Golden Shovel,” which draws its end words from Gwendolyn Brooks’s famous “We Real Cool,” and “The Last Train to Africa,” after Elizabeth Alexander’s poem “Ladders”); the second is based on the structure of the pecha kucha, which Hayes describes in his notes to the collection as “a Japanese business presentation format wherein a presenter narrates or riffs on twenty images connected to a single them for twenty seconds at a time.” In Hayes’ hands, the “pecha kucha poems’” each contain twenty stanzas of between four and five lines, with four such poems in the collection (“For Brothers of the Dragon,” “Twenty Measures of Chitchat,” “Coffin for Head of State,” and “Arbor for Butch”). The pecha kucha poems have diverse sources and subjects, interweaving the poet’s biography with, alternately, the elements of fiction writing and the life and death of Malcolm X (“For Brothers of the Dragon”), the musical corpus of Nigerian World Music legend Fela Kuti (“Coffin for Head of State”), fragments of conversation (“Twenty Measures of Chitchat”), and the wood sculptures of the Washington D.C. born African American artist Martin Puryear. The diverse range of reference and influence here is characteristic of Hayes’ roving intellect. Other forms in the book include the more traditional sonnet (“God Is An American”) and the ghazal (“Ghazal-Head). 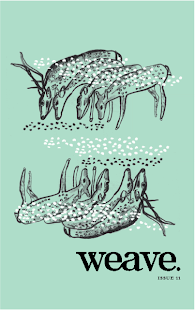 of derangements; I’ll eat you to live: that’s poetry. Maybe Art’s only purpose is to preserve the Self. If we can regard “Lighthead” as a kind of persona for Hayes himself, we find in these lines a rationale for his poetic process or an explanation of his method of focusing on such a broad range of subjects and forms: the act of poetic self-preservation requires that he follow his own instincts and moods, refusing to be pinned down to one tone, subject, or range of diction. His “primitive craft” is clearly a pun here, referring both to an imaginary ship to be used as a weapon against his enemies and to an artistic method to be employed for similar purposes in the arena of poetry. and then lifting her head to listen for something no one but her could hear. With all of Hayes’ formal gifts, his verbal agility (I’ve said nothing here of his extraordinary ear), and his diverse interests, it’s not hard sometimes to find oneself wishing for a little more unity or coherence in the collection as a whole. Yusef Komunyakaa writes in a blurb on the back of the collection that “Terrance Hayes is a master of insinuation,” and while this is certainly true, it’s also true that—even in poetry—sometimes direct statement is called for. Wind In a Box showed the same dizzying maelstrom of forms, influence, and themes as Lighthead. I wonder if the next step for Hayes won’t be toward more unity rather than away from it—toward arrangement rather than derangement. Whatever the case, Lighthead constitutes a bold movement forward in the development of an important voice in American poetry.